I’m traveling to Ireland for the Newspaper & Periodical History Forum of Ireland’s 2018 Conference, “The Press & the Vote,” at NUI Galway. Watch for my tweets (@markaholan) and posts over the coming week. First, here are links to photo features from my last two trips. Two statues, two graves, two famous men. 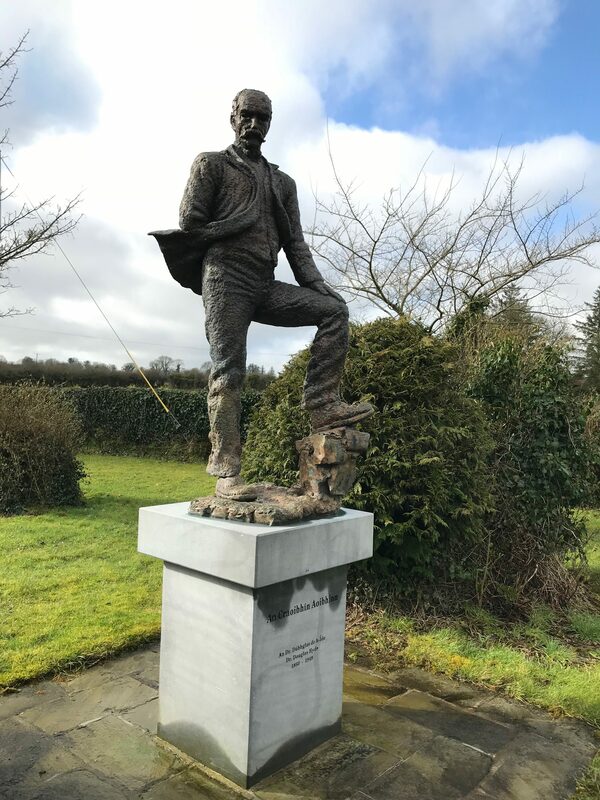 Douglas Hyde Center in Co. Roscommon. Travel tips in Dublin, Belfast and the West. Mass at St. Patrick’s in Belfast. Visiting Glasnevin, part 1, Daniel O’Connell. Visiting Glasnevin, part 2, Irish heroes. 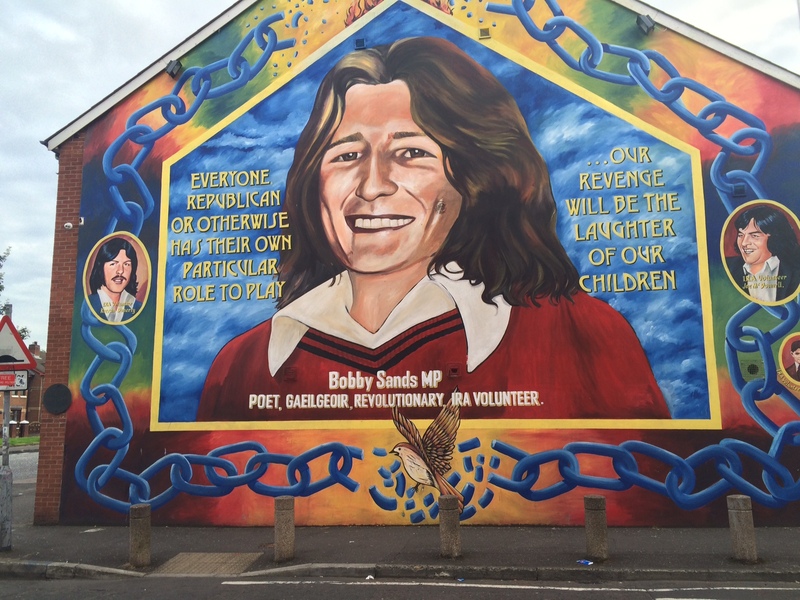 This entry was posted in Arts & Culture, Business & Environment, History, Northern Ireland, Politics, Religion and tagged Belfast, Bobby Sands, Douglas Hyde, dublin, kerry, Mayo, Roscommon on November 6, 2018 by admin. On 25 September, 1888, a delegation of Irish athletes arrived in New York City for an “American Invasion Tour” intended to raise money and promote awareness for the sports of the four-year-old Gaelic Athletic Association (GAA). 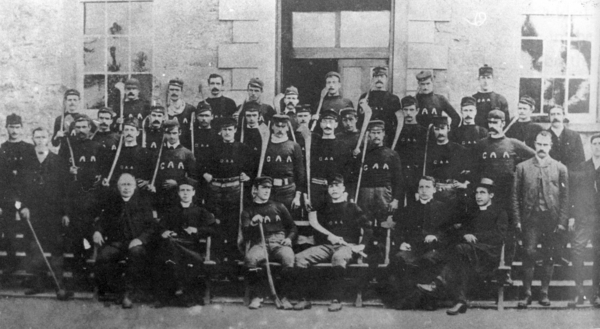 The 1888 hurling team. Image from Haverford College. The GAA tour was to have included exhibitions in New York; Boston; Philadelphia; Trenton, Newark, and Patterson, New Jersey; Providence, Rhode Island; and Lowell, Massachusetts. But dates were cancelled and the tour ended in just five weeks. The GAA had to borrow money from agrarian activist Michael Davitt help the athletes return to Ireland. About half the young men decided to stay in America. Two years ago, the diary kept team member Pat Davin, brother of GAA co-founder Maurice Davin, emerged in public and was put under auction, as reported by The Irish Times. In one passage the diarist complained about “very plain-looking” American women at a New York dance; in another, about the lack of strong drink at a Massachusetts banquet. Davin’s dairy went unsold at the 2016 auction and remains in the hands of the private owner, said County Kilkenny-based Fonsie Mealy Auctioneers. 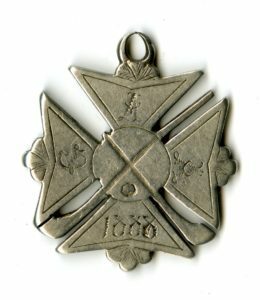 A commemorative medal from the 1888 tour sold in May for about $2,200, slightly less than was paid for a similar medal eight years ago. To our gatherings on our mountains. In our thousands we arise. Ireland soon should find them there. This entry was posted in Arts & Culture, History, Irish America, Journalism, Sport and tagged Douglas Hyde, GAA, Gaelic Athletic Association, Pat Davin, William Henry Hurlbert on September 22, 2018 by admin. 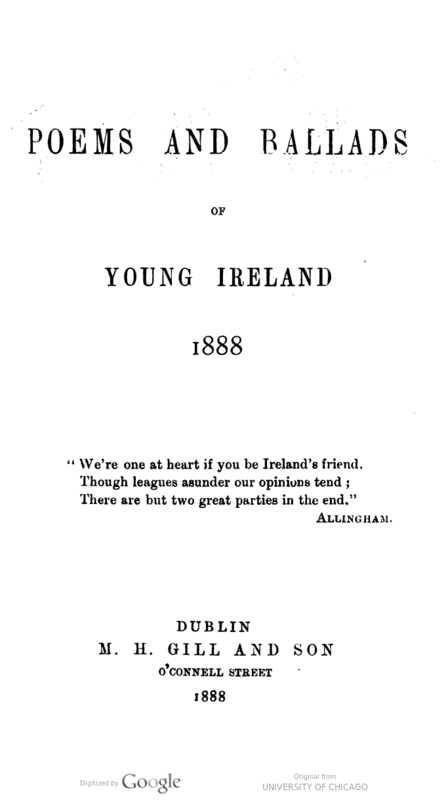 In Dublin, Hurlbert picked up a copy of Poems and Ballads of Young Ireland. It was dedicated to Irish separatist John O’Leary and the Young Ireland Societies. Hurlbert noted “the spirit of all the poems it contains is the spirit of [the Young Ireland rebellion of 18]48, or of that earlier Ireland of Robert Emmett. Words such as once the nation’s heart / On patriot lips rejoiced to hear. 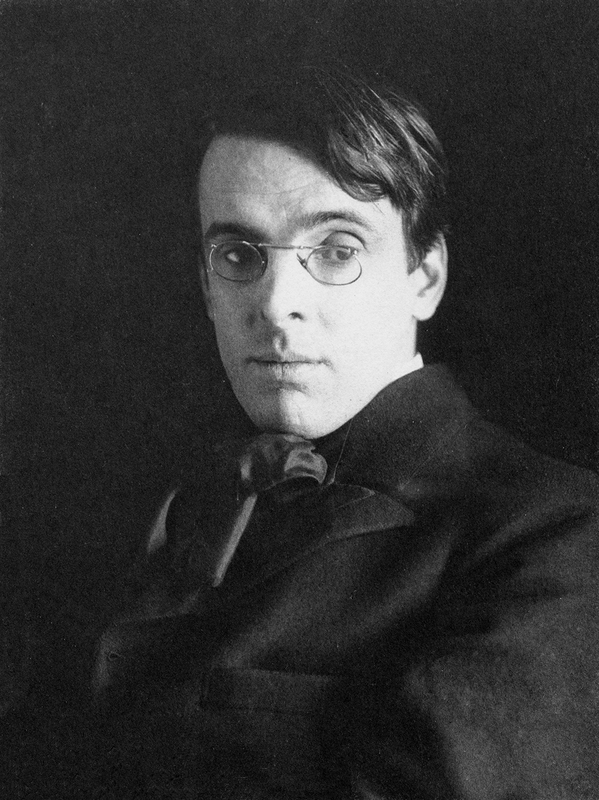 Scholar John Turpin attributed the poem, which is unsigned in the book, to William Butler Yeats. According to Susan O’Keeffe, director of the Yeats Society Sligo, it was written by T.W. 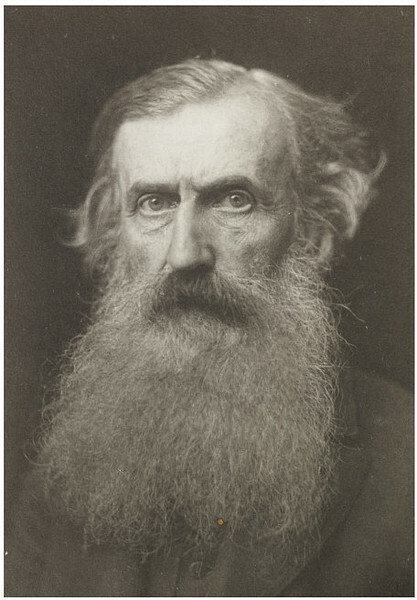 Rolleston, who edited Poems and Ballads. O’Leary maintained a lifelong conviction that a non-confessional Irish nationalist political élite could emerge, even when this possibility had seemingly evaporated after 1886. His tenacious hold on this belief, which Yeats found inspiring and essentially inherited, virtually defined ‘Romantic Ireland’ to the young poet, for whom O’Leary acted as a patron. 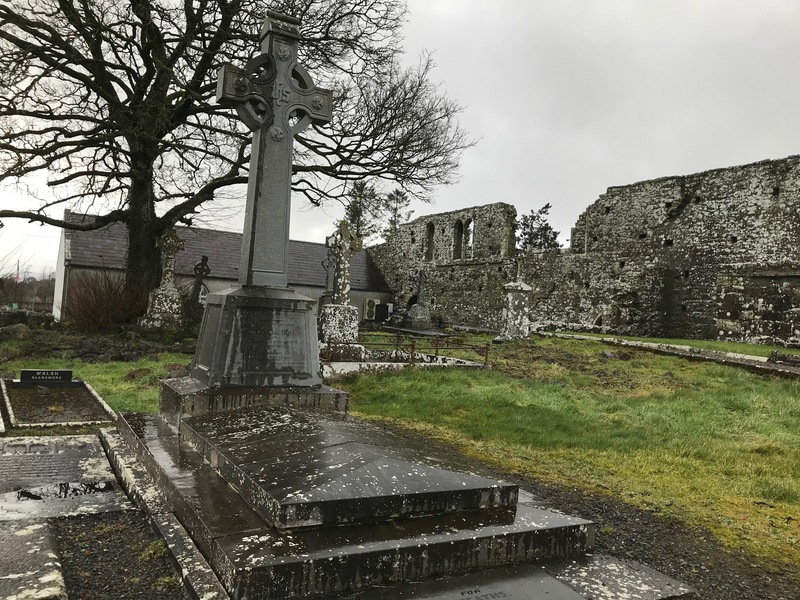 Romantic Ireland’s dead and gone / It’s with O’Leary in the grave. Four poems in the 1888 collection are signed by Yeats: “The Stolen Child” , 1886, which Hurlbert described as “an exquisite ballad” ; “The Meditation of the Old Fisherman” , 1886; “The Madness of King Goll” ,1887; and “Love Song” , year unknown. Hurlbert also commented on the poem, “Marching Song of the Gaelic Athletes,” attributed to An Craoibhín Aoibhinn (translated from Irish as, The Pleasant Little Branch), the pseudonym of Irish nationalist Douglas Hyde. It became the anthem of the Gaelic Athletic Association, or GAA, which was founded in 1884. Four years earlier, “in a rash of apparent nationalism,” Dublin Corporation opted to rename the street after Daniel O’Connell, the early 19th centurty “Liberator” of Catholic Ireland. Some unionist residents challenged the effort in court, preferring to remember the former Lord Lieutenant of Ireland. The street name wasn’t officially changed until after independence in the early 20th century. Inside title page of the digitized copy of the book, linked at top. NOTES: From pages 391-392 of Ireland Under Coercion: The Diary of an American. Other sources are linked. 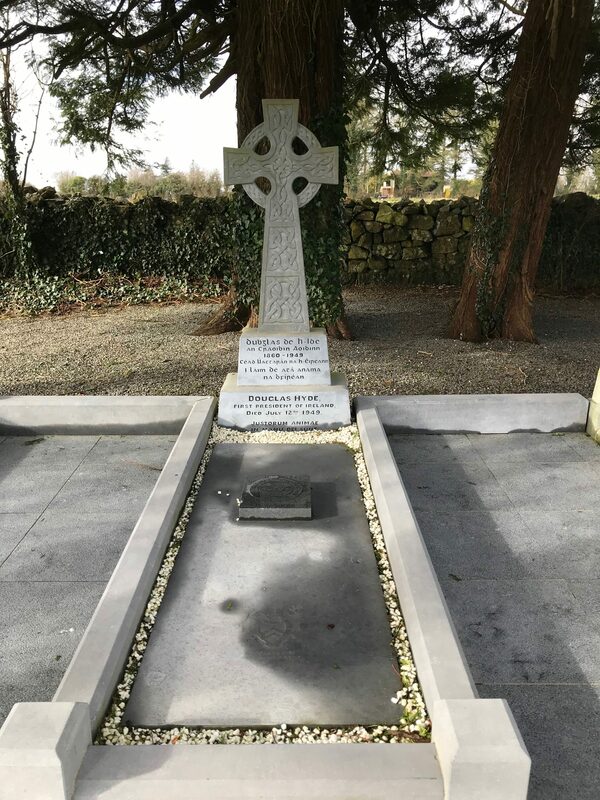 UPDATE: This post was updated on 13 May 2018, to include information about the O’Leary poem from the Yeats Society Sligo. 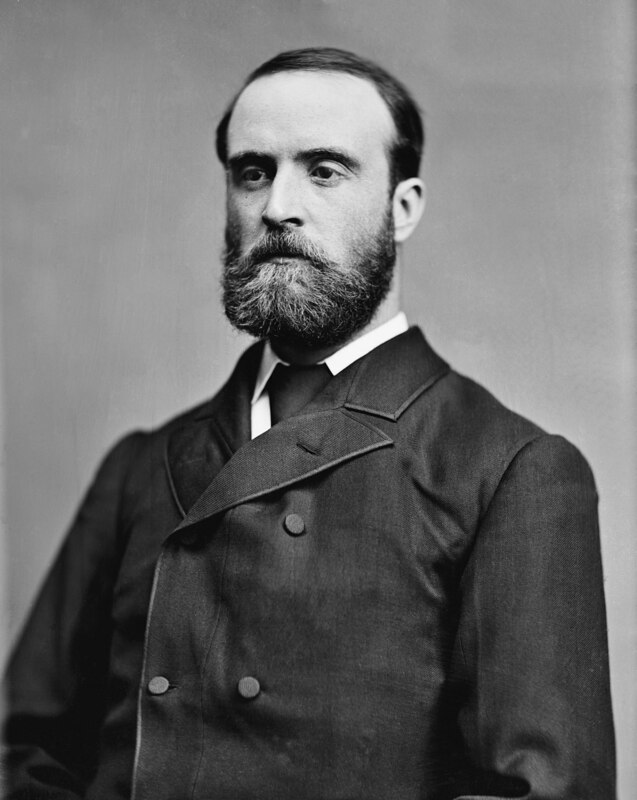 This entry was posted in Arts & Culture, Business & Environment, History, IUC, Revisted and tagged Charles Stewart Parnell, Daniel O'Conner, Douglas Hyde, GAA, Home Rule, John O'Leary, William Butler Yeats on May 6, 2018 by admin. Michael Davitt, 1846-1906, native of County Mayo, was an agrarian activist, journalist, MP and humanitarian. Douglas Hyde, 1860-1949, native of County Roscommon, was the first president of the Gaelic League and the first president of Ireland. 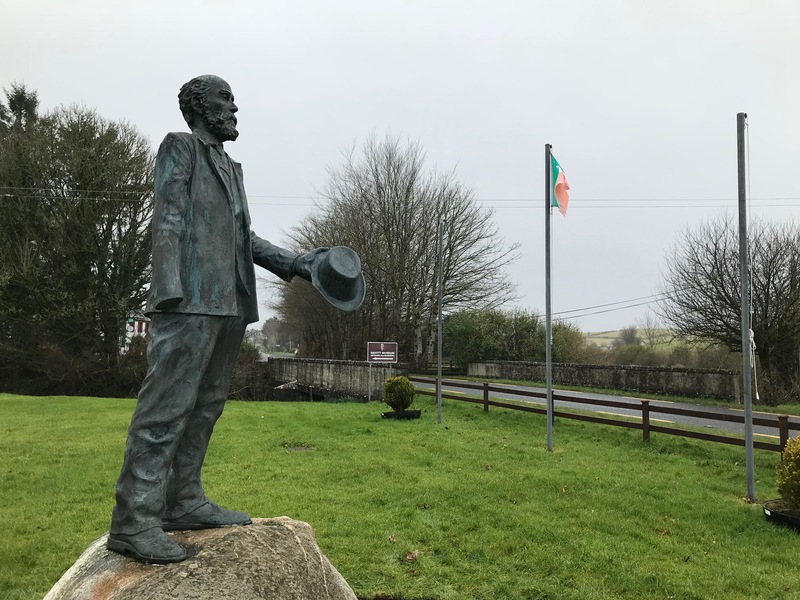 This entry was posted in History, Politics and tagged Douglas Hyde, Mayo, Michael Davitt, Roscommon on February 20, 2018 by admin.